here are no fixed textbooks for MYP courses. IB schools in different regions tend to make their own choices based on their specific needs. Selecting teaching materials, designing courses and guiding students in learning outcomes are therefore great challenges for teachers. 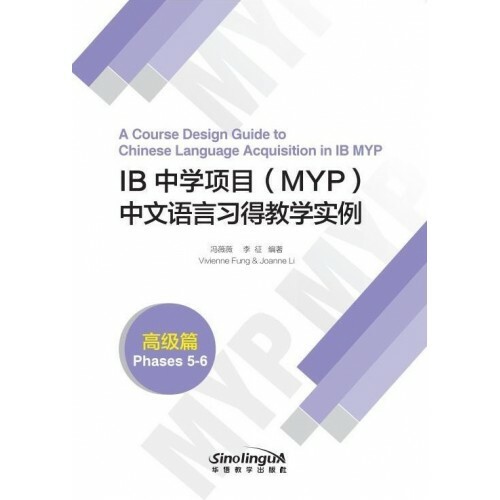 This book provides a systematic outline and structure for conducting an MYP high-level Chinese language course. It can help teachers design and teach their lessons more effectively and enable students to achieve better outcomes in MYP course learning.